It’s super annoying that Splatoon 2's maps rotate, or that you can’t play Salmon Run all the time. One of the two Western designers at Nintendo says it comes down to the vastly different ways the Japanese developers approach game design. In Japan, everything is tailored. You’ve probably heard Sheena Iyengar’s TED talk, in which she went to a restaurant in Japan and tried to order sugar in her green tea. The people at the cafe said, “One does not put sugar in green tea,” and then, “We don’t have sugar.” But when she ordered coffee instead, it did come with sugar! In Japan, there’s a sense of, “We’re making this thing for you, and this is how we think this thing is better enjoyed.” This is why, in Splatoon, the maps rotate every couple of hours. And the modes change. “I bought this game. Why can’t I just enjoy this game the way I want?” That’s not how we think here. Yes, you did buy the game. But we made this game. And we’re pretty confident about how this game should be enjoyed. If you stick with us, and if you get past your initial resistance, you’re going to have the time of your life with this game. You’re really going to love it. 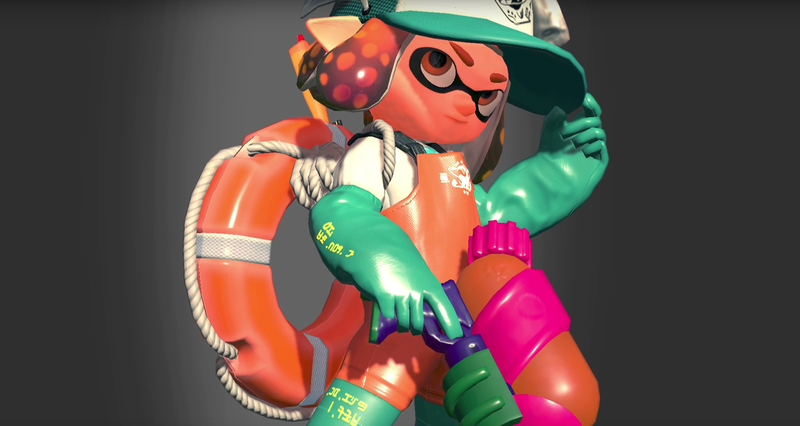 Amaro goes on to say, “You have to trust us that if you could play Salmon Run online anytime, that would result in a worse experience for you and everybody.” To an American like me, that feels really hostile and a little dramatic. Then again, how many times have I been late to appointments or hanging with friends because the burden of choice made me hesitate when I was picking a restaurant or thinking about what I wanted on my burger? Not being able to play Salmon Run at certain times of the day feels like an inconvenience, but maybe Nintendo’s actually doing me a favor. Now I’ll go to bed instead of staying up all night playing Splatoon! Check out the rest of the interview with Amaro on Rolling Stone for more neat little insights about Japanese game development. Now that I think of it, I’d love it if coffee shops decided if I wanted sugar in my tea for me.